School’s out, which means PaintBox Theatre is here to help you entertain the kids. 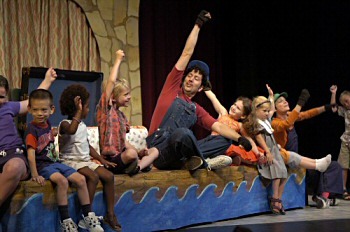 Sure, you could take them to the movies, but PaintBox makes your kid a part of the show, while making you laugh. Artistic director Tom McCabe and actor Emmy Bean talk about what’s coming up, how the audience members make the shows, and why these are NOT the children’s tales you remember.